We spend a lot of time and place great importance on the design element of your garden to ensure that whatever your budget, you are getting the most beautiful garden for your money. Itemised specification showing the costs for each individual element of the garden design. 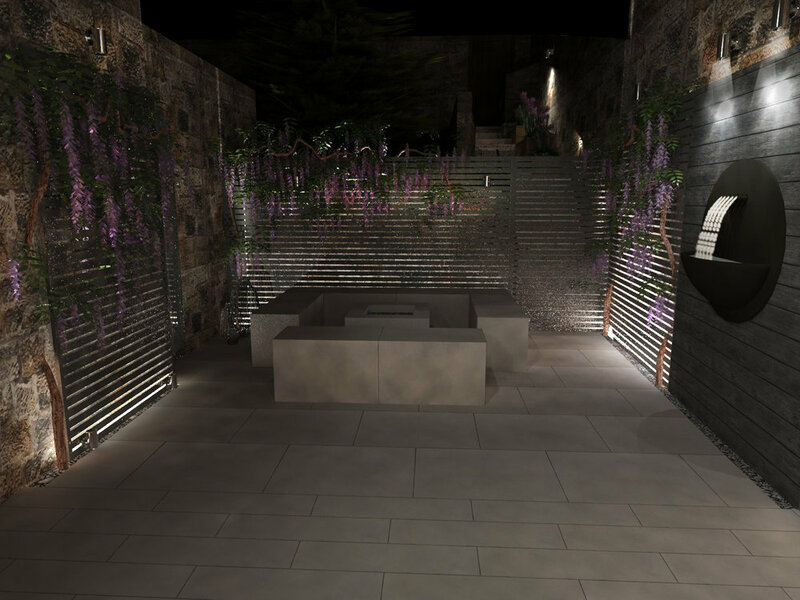 3d visualisations so that you can see what the proposed design will look like when the garden is built (you can see some examples of these below in the gallery). 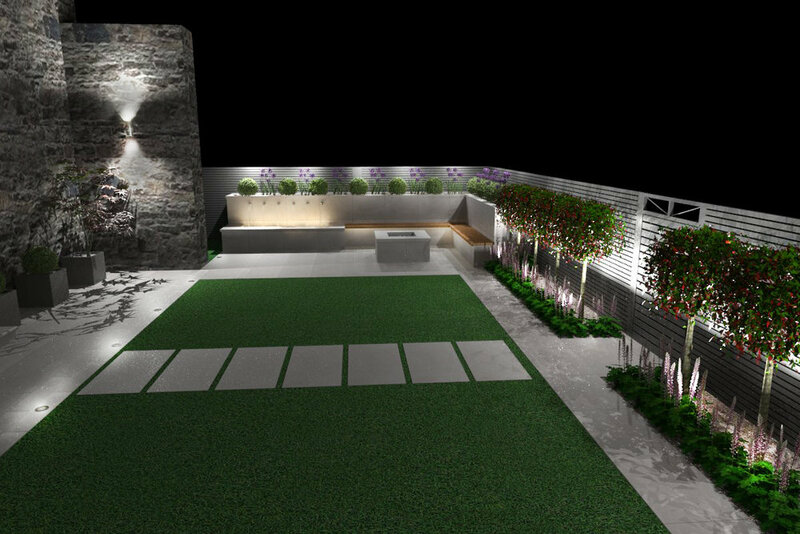 We can also provide a plan only service of the design of your garden if you don’t require 3d visualisations and this reduces the cost of the design stage. Here is an example of a garden plan below. 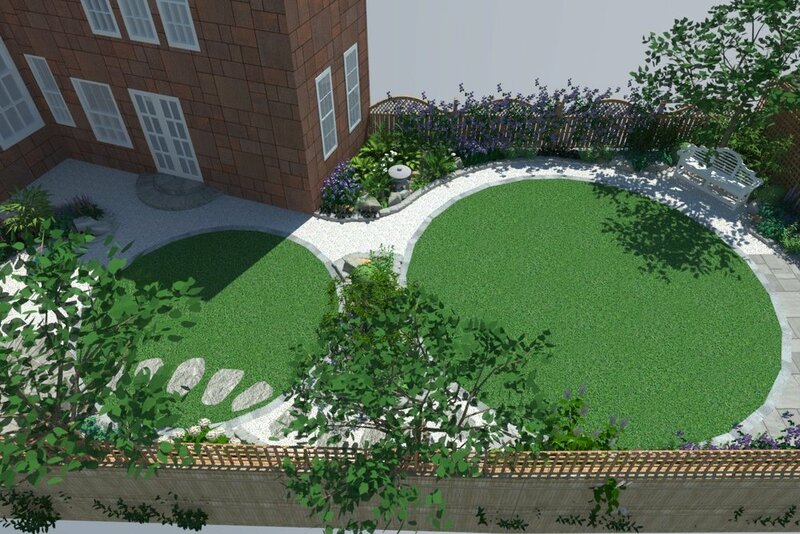 Once the design stage is complete, you can either choose us to construct your garden or you are free to use the design drawings to get alternative prices or to choose another landscaper to build the design. For a full garden design, we charge from £600 (inc vat) to prepare a garden design and the cost depends both on the size of your garden and complexity of the work required. The cost can be slightly less for a very small garden and more for a larger or more complex garden. As a rough guide, the construction costs of a full back garden makeover in and around Glasgow and Edinburgh start from about £15-20k and over the last few years the average budgets we have been given by our clients range between £25k and £40k. We have also undertaken several smaller garden projects under £15k and many larger projects with budgets between £40k and £150k. Some clients do not require a full design service, and we also construct simpler projects such as driveways, artificial lawns and patios. For these projects we would give you the benefit of our design experience about the best layout and which materials to use to suit your house, and then give you a quote to carry out the work. Smaller projects such as driveways, artificial lawns and patios normally start at around £5k. Please contact us with a few details of what you are looking for and we can provide you with more details of the costs and about how the process works. 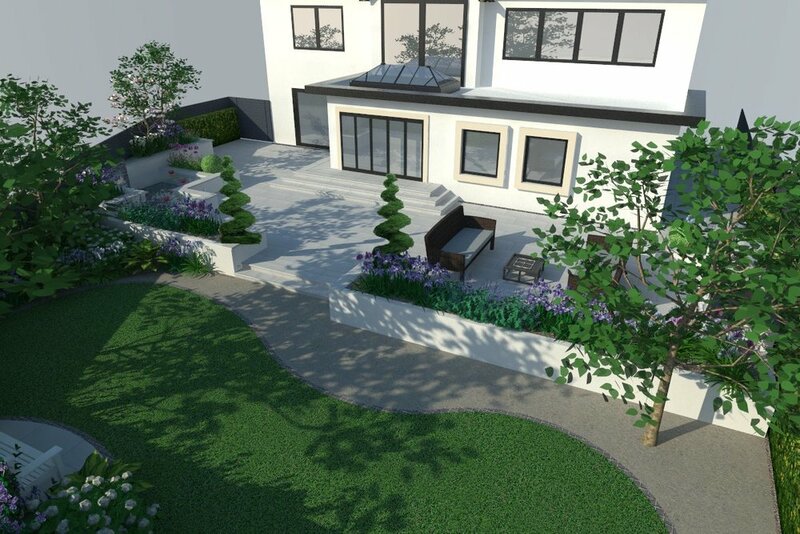 Below is a gallery showing some examples of the computer generated 3d visualisations that we produce to show our clients how their gardens will look.